I’m not sure if this clock design qualifies as “steampunk” or simply anachronistic, but it sure looks different than just about any timepiece I’ve ever seen. 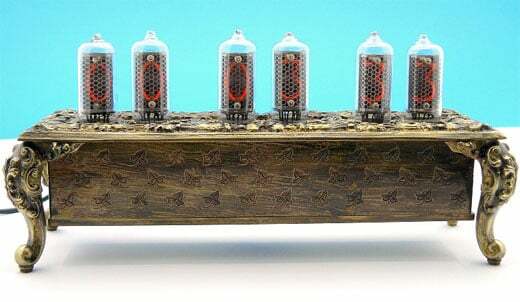 Combining retro Nixie tubes with a baroque antique bronze enclosure, it’s definitely different. 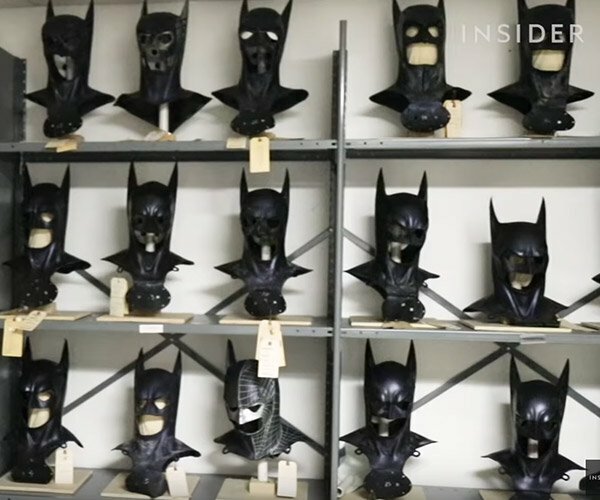 For some reason, I’m betting your Grandma probably didn’t have one of these on her mantle. 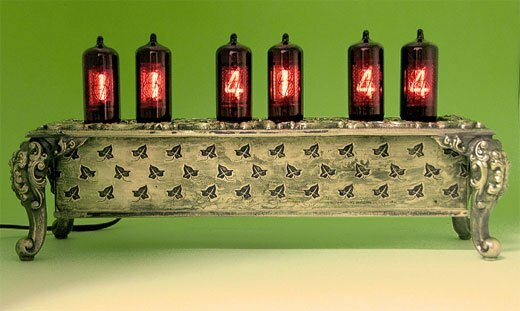 Handcrafted by LCI Electronics, this clock is powered by six funky red Nixie tubes, and not only tells time, but offers a calendar and an alarm that plays four musical memories. 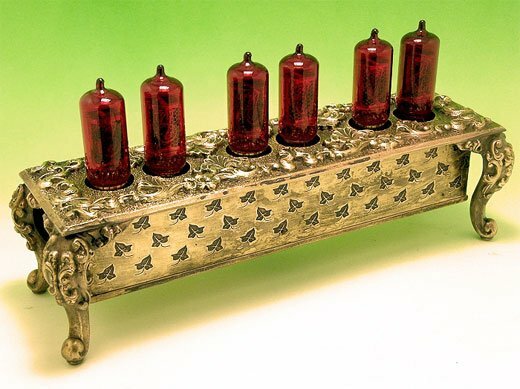 And if red isn’t your thing, LCI also makes the same clock with clear Nixies as well. You can find this unique clock over on eBay for $219.99.